Songs We Love: Leon Bridges, 'Coming Home' The song by the 25-year-old Fort Worth singer sounds so much like Sam Cooke, yet the groove feels fresh. How is that possible? "There was just nobody doing it," 25-year-old Fort Worth wonder Leon Bridges recently told a hometown reporter of his decision to pursue the sound of 1960 in his rhythm and blues. It seems like a strange comment, especially when you hear "Coming Home," one of two songs that have propelled the former college dance major from coffeehouses to a major-label record deal in less than six months. 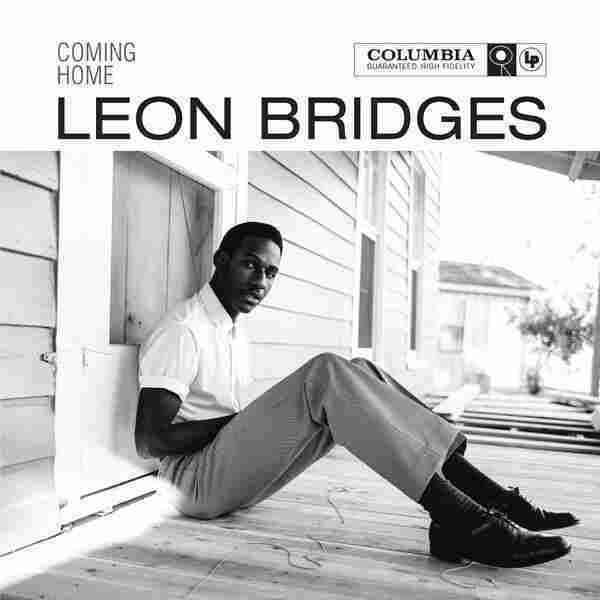 This version of "Coming Home" — Bridges' debut single on Columbia Records, which will be available on iTunes at midnight tonight — was recorded with guitarist Austin Jenkins and drummer Josh Block of the band White Denim. The song sounds so much like Sam Cooke, a cardigan sweater may materialize on your back while you're listening to it. Yet this groove — and especially, the nimble, precise vocalization Bridges provides — does feel fresh. How is that possible? It's the commitment to detail that allows Bridges and his collaborators to move through the shell of this sound into its heart. Recorded live at Jenkins and Block's Niles City Sound studio, using only vintage equipment, "Coming Home" explores the reasons why gospel meeting soul worked so magically at the dawn of the 1960s: the swing, the intimate relationship between background and lead vocals, the way the descending organ line works a pirouette around the triplets Bridges sings. This kind of perfection is always relevant. That's why "Coming Home" helped Bridges become a huge SoundCloud sensation late last fall, and why, in this remixed and remastered version, it will take you away in a very right-now way.